Whether you’re in need of some quick sidewalk psychotherapy, a spa treatment in a subway station, sandwich delivery via parachute or a bowl of sugary cereal with a side of technology-dependence guilt, there’s a pop-up concept waiting for you. These 13 off-the-wall pop-up shops offer some of the most unusual goods and services that you could ever expect to find in your path while going about your day in the city. Need to talk to someone about your problems? 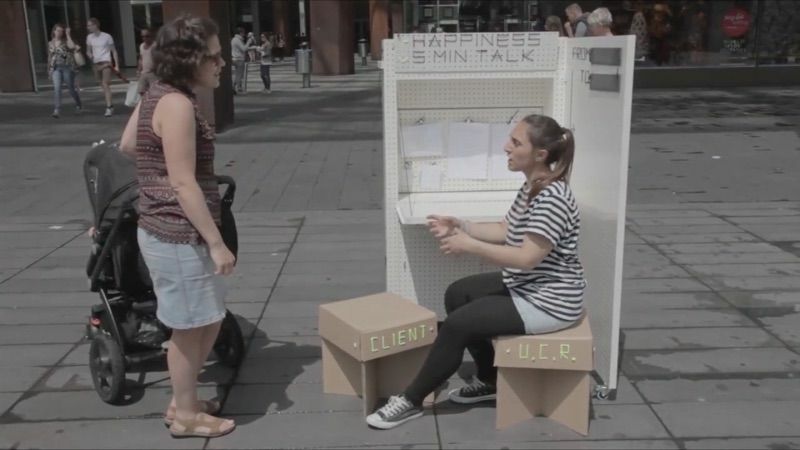 You’d be lucky to pass by the Unhappiness Repairer in the street, a pop-up psychotherapy stand by artist Silvia Neretti that explores the connection between happiness, psychotherapy and design. Neretti asks – Is it possible to design happiness? Sure, she’s not a licensed therapist, but the idea of having such easy access to mental health services is an intriguing one. 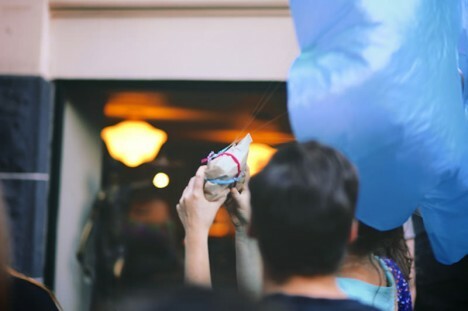 The typically unpleasant sticky heat of the 34th Street subway platform in New York City was turned into a positive with The Subway Spa, a prank by performance group Improv Everywhere. Figuring you might as well enjoy yourself if you’re going to get sweaty, the group set up a steam room, massage tables, sauna benches and table proffering fluffy white towels. Most of the people who took off their clothes to don robes and relax on the platform benches were actors, but a few citizens actually joined in. 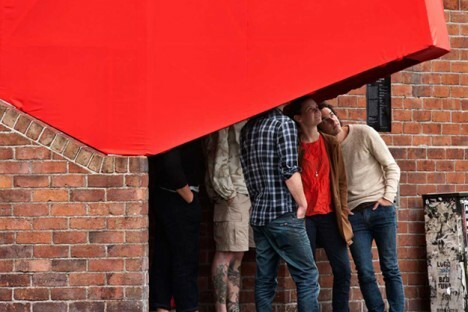 The world’s smallest pop-up shop is no more than a tiny box with a red awning reading ‘SHOP’ on top, zipping around the streets of Tokyo all on its own. 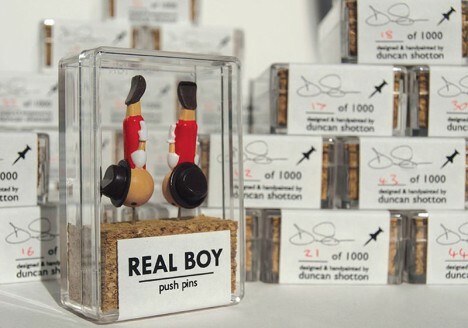 The shop is built on a tiny remote-controlled car that zooms up to passersby to hawk British designer Duncan Shotton’s tiny push-pin figures. That’s certainly one way to get your products noticed. 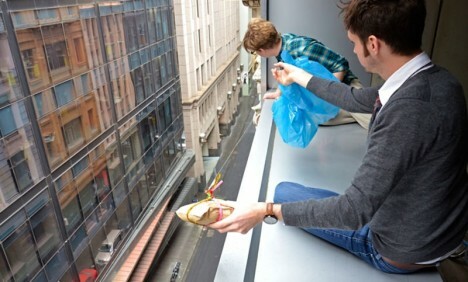 A pop-up sandwich shop called Jafflechutes delivers piping hot sandwiches from the 7th floor of an apartment building to the street below using parachutes. Customers pay via PayPal and wait on an ‘X’ marked on the street until their sandwich comes floating down. 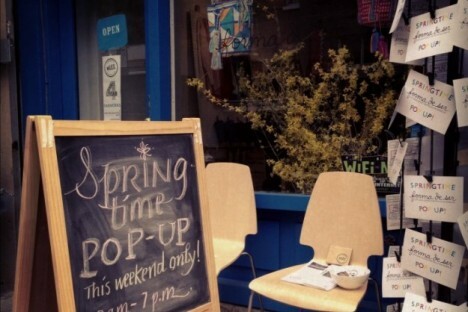 Got an idea for your own pop-up? Made in the Lower East Side (miLES), a group promoting urban revitalization, offers a Storefront Transformer that makes it easy for anyone who wants to open their own shop in a vacant storefront with plug-and-play shelving, partitions, tables, seats, lighting, wifi, power strips and more. miLES also facilitates the short-term rental of these vacant spaces. 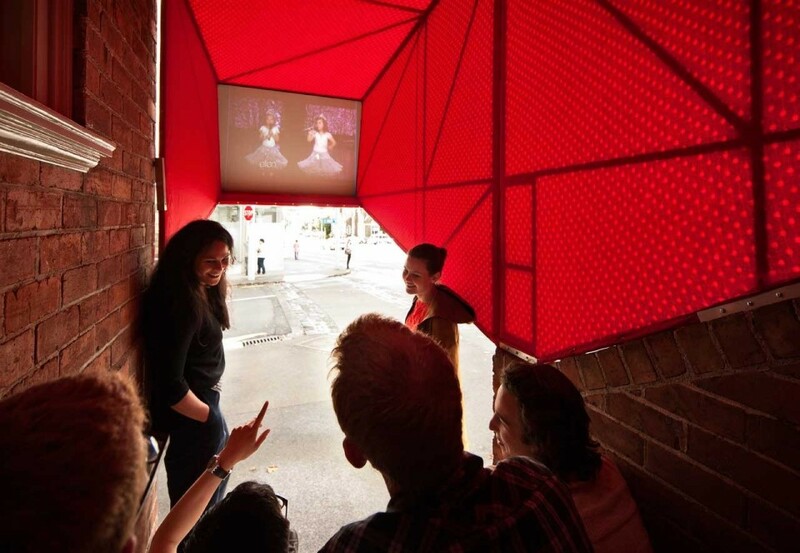 Duck under a red awning and take in a film with ‘Stairway Cinema,’ a mobile pop-up movie theater by experimental design collective OH.NO.SUMO. Fitted with a movie screen and a projector, the theater can be grafted onto the steps of vacant buildings. 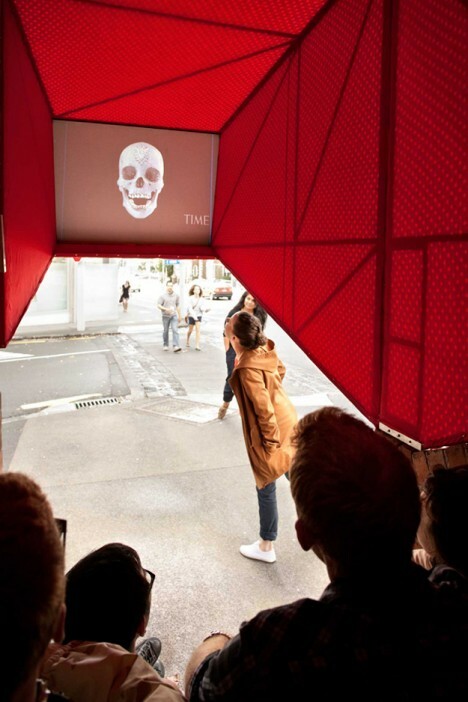 The designers created it in response to the lack of interaction seen between huddles of people waiting at bus stops and outside launderettes on the corner.